Paul Treible, Nelipak Healthcare Packaging explains how more accurate packaging specifications and innovative product design can aid the validation process. Validation protocols across the medical device industry have become increasingly sophisticated in recent years to help ensure quality and avoid delays to market. But one aspect of the process that has been slower to evolve – which can ultimately create challenges for launching a product – is the packaging specifications that are evaluated. 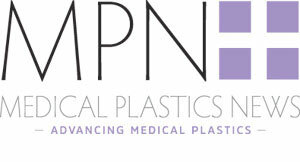 Generic specifications are still commonly used for healthcare packaging, but listing critical-to-quality requirements that are not linked to the functionally or intended use of a packaging product can lead to ineffective criteria being used to gauge the efficacy of medical device packaging. This can result in considerable delays to market and ultimately cost the OEM unnecessary time, money and resources to rectify. For example, in some cases generic specs may indicate that length is critical and that a tray needs to meet a maximum and minimum length while the tray is non-sterile (or even when it gets sterilized). However, this shouldn’t be the case in scenarios where the tray is not actually the sterile barrier and the product goes inside of a sterile pouch. In this situation, there should only be a maximum length specified. Accommodating these generic specifications can cause major product launch delays for the OEM if the packaging thermoformer has to go back and revise a drawing to adjust the length and tolerance in order to meet criteria that is not even applicable. The validation process and path to market can go much more smoothly if OEMs and their medical device packaging provider collaborate earlier in the process to develop custom specifications that take in to account the Design Failure Mode Effects Analysis (DFMEA). This helps to ensure that all required specs are critical-to-quality and are accurately related to the product’s intended use and function. It can also speed time-to-market by eliminating the complexities of making the packaging meet non-relevant and sometimes unrealistic generic specs in order to successfully pass the validation process. Taking the time up front for OEMs and their packaging manufacturing partner to review DFMEAs and talk through which specifications are actually critical. To do this successfully, it’s extremely beneficial for OEMs to choose a packaging thermoformer that understands DFMEAs and brings a thorough understanding of industry trends, end-user needs and challenges to every project. It’s no longer enough to just have comprehensive manufacturing capabilities; a packaging partner must be able to deliver insight and innovation early in the design phase in order to create custom specifications by which to best validate a product. Product innovation in the design phase is beneficial for far more than just making sure packaging specs are accurate and meaningful for the particular scenario; it also helps create a product that can better serve its purpose and even minimize risk factors when used in critical healthcare environments. Thermoformers need to understand how packaging influences the customers’ operations and supply chain. In addition to reducing the overall amount of plastic used and footprint of the product, well-designed products have the ability to reduce labor and handling costs such as transportation, sterilization and storage through the supply chain. Taking the manufacturing process in to account during the design phase is another factor that makes the path to market smoother in the long run. Prediction tools allow designers and tool makers to understand how a part will behave during manufacturing and to amend accordingly to maximize production runs. The packaging design team should also be mindful of what automation settings the OEM uses in its manufacturing processes to ensure products are properly engineered for the process. Ultimately, communication and collaboration between OEMs and packaging thermoformers early on in the product design phase will result in more innovative, fit-for-purpose products that can be properly validated based on relevant, custom specifications – resulting in products getting to market on time and without unnecessary roadblocks.